If you refuse to do battery maintenance, or don’t believe in maintenance at all, think again. 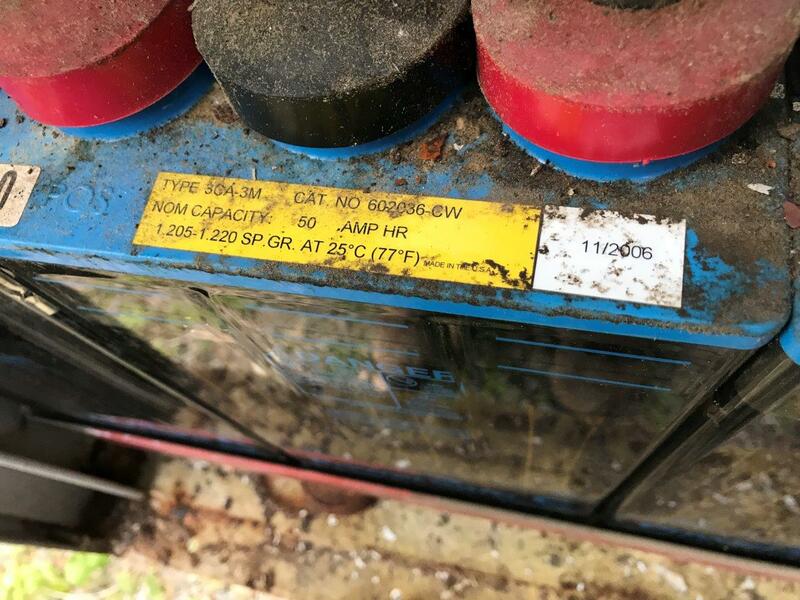 These batteries were installed in 2006. 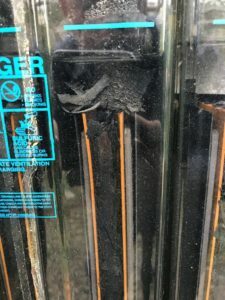 Loose connections and lack of proper fluid levels attributed to the degraded condition. 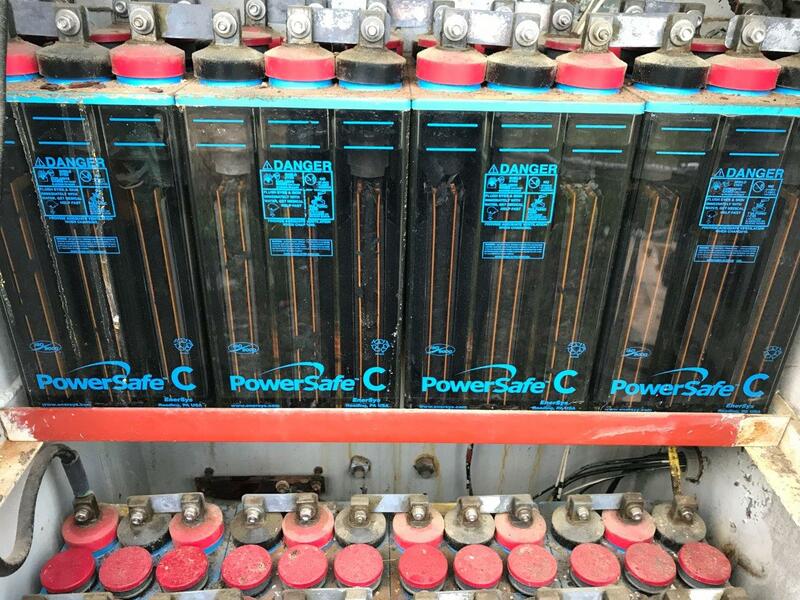 In most cases, batteries are a critical part of your electrical system and are over looked the majority of the time. I am constantly reminded of why battery maintenance is important by walking up to conditions like this. 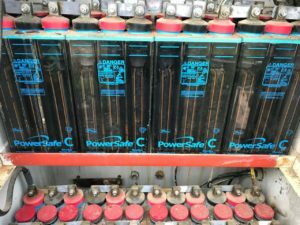 Batteries are typically responsible for providing control power to breaker control schematics and protective relaying schemes. If you lose your batteries, you have lost your ability to open a breaker under a fault condition. This typically leads to catastrophic meltdowns. Switchgear bus literally melts to molten copper all in an effort to eventually melt enough copper away to clear the fault. Many government buildings have ended up in this predicament and always wonder why their switchgear melted. Then they complain about prices to replace the gear and complain about every aspect of the project. “Why is it taking so long to get parts; why is it taking so long to rebuild this tiny 13 section switchgear; I want power now; you won’t get paid if I don’t get power now”…all of these statements have been made when the ultimate liability comes down to the equipment owner. It is amazing to see how many people don’t feel it is important to maintain batteries. Until owners see the catastrophic battery failures or the cost associated with repairs, they will refuse to open their eyes. The worst thing about working with batteries is that you can’t turn them off. 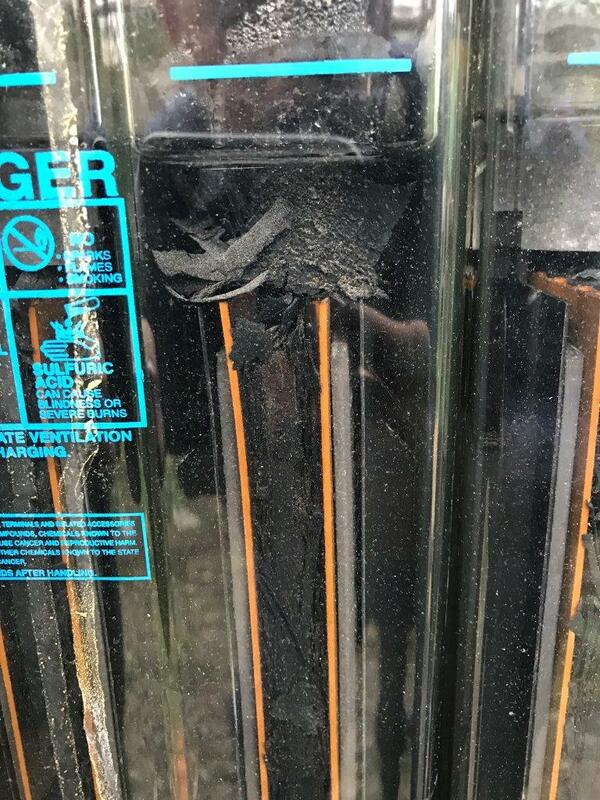 When replacing cells its important to pay close attention to polarity and always double check yourself before making connections. This is just one of the many reasons why it’s very important that equipment owners hire qualified personnel for the task at hand.